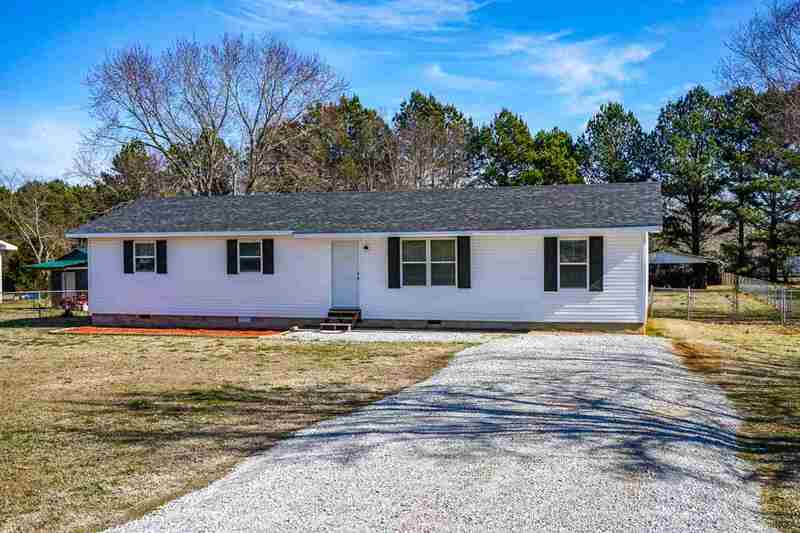 Very nice 4 BR, 2 bath home in East Limestone. Home was totally renovated and modernized 2 years ago. Udates were: new white shaker style kitchen cabinetry w/impressive countertops and appliances, 30 year architectural shingles, HVAC windows, water heater, vinyl siding, stylish wood/laminate flooring, tile, bath vanities, toilets, plumbing fixtures, shower enclsoure, exterior doors, interior/exterior lights, and outlets. Isolated master with walk-in closet. Fenced backyard with concrete patio. Nice sized backyard with shed and covered outbuilding. Seller will include a 2/10 Home Warranty with the property.